New to C3G and don't know where to begin? Check out the handy list of figures used for C3G designs and it will guide you to a few great stores and will show you all the figures used on the cards officially. Note: there are different sculpts for many of the units, if you favor one that isn't on the card and you aren't super OCD, grab it instead. 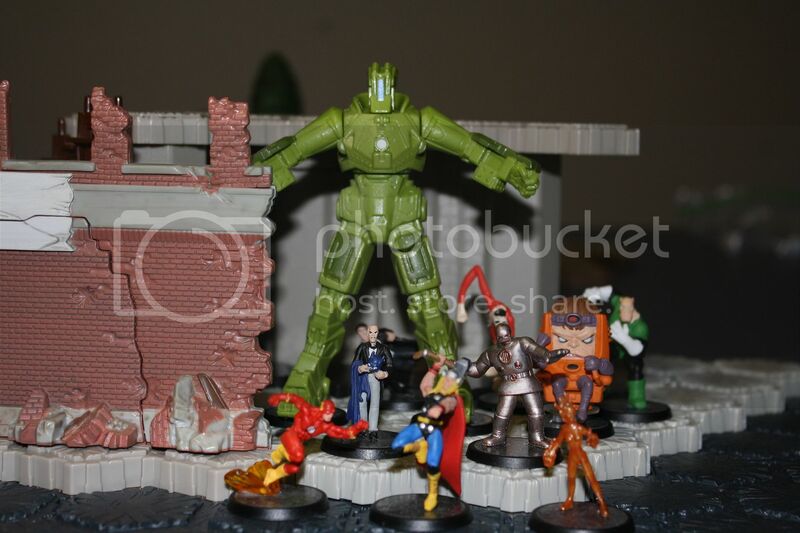 To use the FotA ladders and blend better with the official units, you will need to rebase your HeroClix figures. Hahma, master of many things C3G, has put together a handy tutorial here. Cavalier supports the Comics Custom community by providing us with beautiful base stickers with 2 ways to purchase. Grishnak's rebasing tutorial is a good choice for those who have very litte OCD and don't mind doing it the cheep way. This is the reason you are in the C3G forum right? You want our cards. Lets face it you can order Clix figures and rebase them for your own customs, but you didn't come here to get rebasing tips. You came to get the full C3G experience. As a first timer, you probably don't have any of the cards printed. 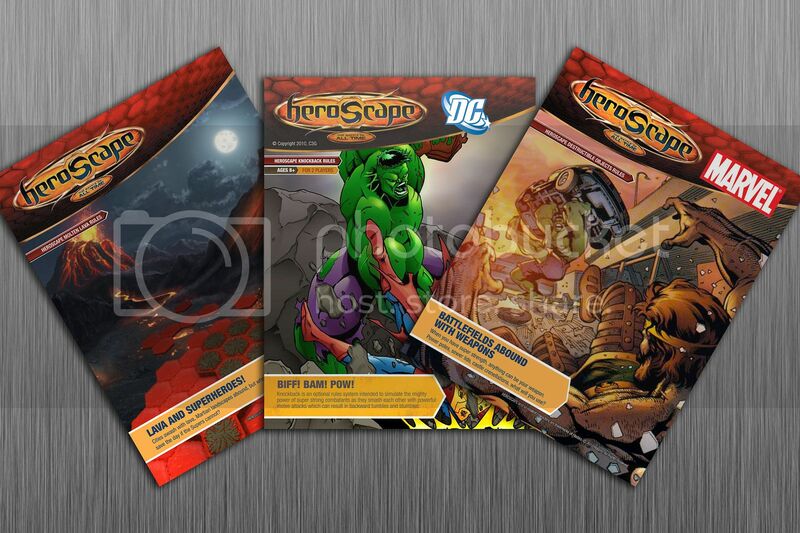 Well the combined PDF is the way go if you want the whole set, just choose Comic or Mini cards and download. If you wish to be more selective, you can pick and choose your PDF files here. Once you have downloaded the cards you want to print, for the best results, I recommend putting the PDFs on a flash drive and taking them to your local office supply store to get them printed in high quality on card stock. But you can print them off anywhere you have access to a printer. I know some people don't enjoy playing with Glyphs, but C3G has a good line up of glyph. 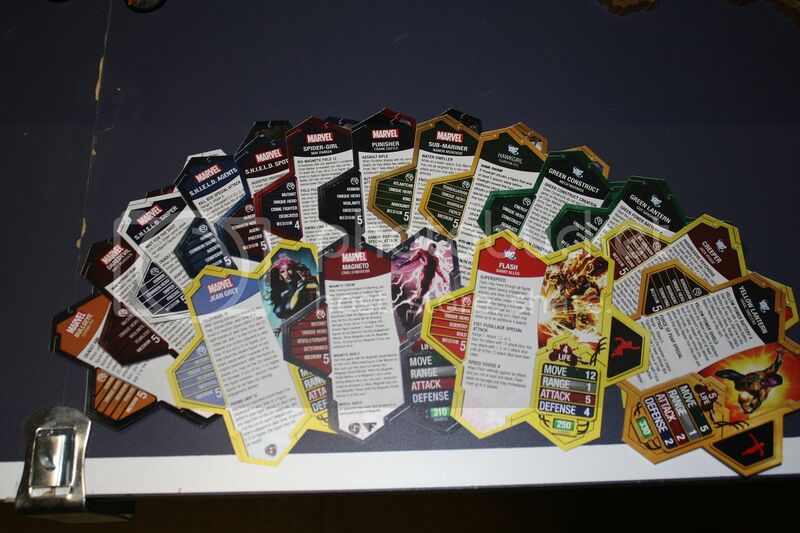 I recommend picking up some glyphs from the Marvel Master Set online a printing the stickers out. If you can't find any of the Glyph tiles online (with only 2 to a set, I doubt there a loads available), Griffin recommends buying some cheap Bicycle poker chips and just choosing one color to apply your glyph stickers to. You can download all the Glyph card PDFs right here. With the Fantastic Forces Master Set, we have gotten 5 new Destructible objects. 3 of them you should already have if you have any terrain sets. 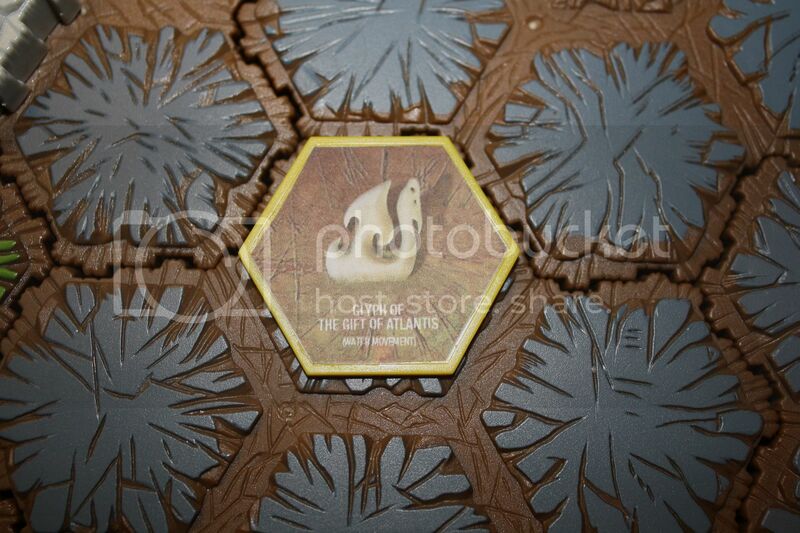 It includes two cards for Battlements from the FotA set. And a card for the Warehouse ruin. The other two DOs are easy to get. 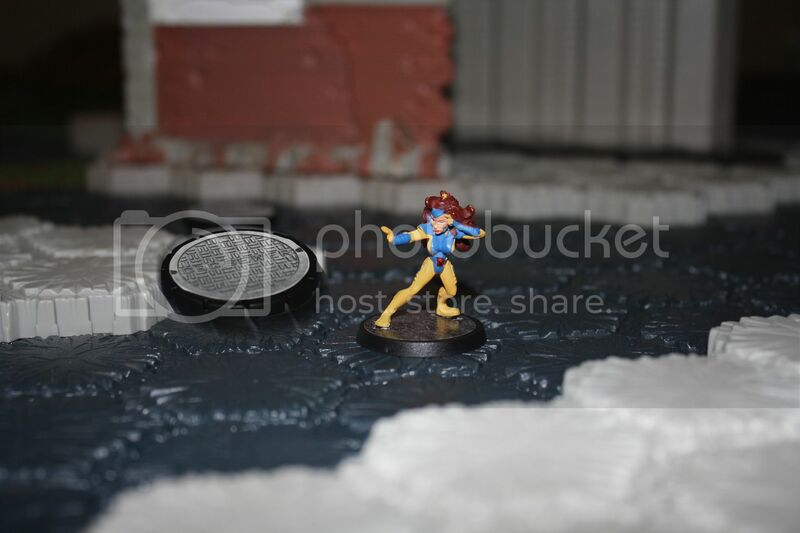 If you buy any HeroClix with the outer shell, you can just pop it off and print off the stickers in the Books of the Turbo Lift or Manhole Cover. 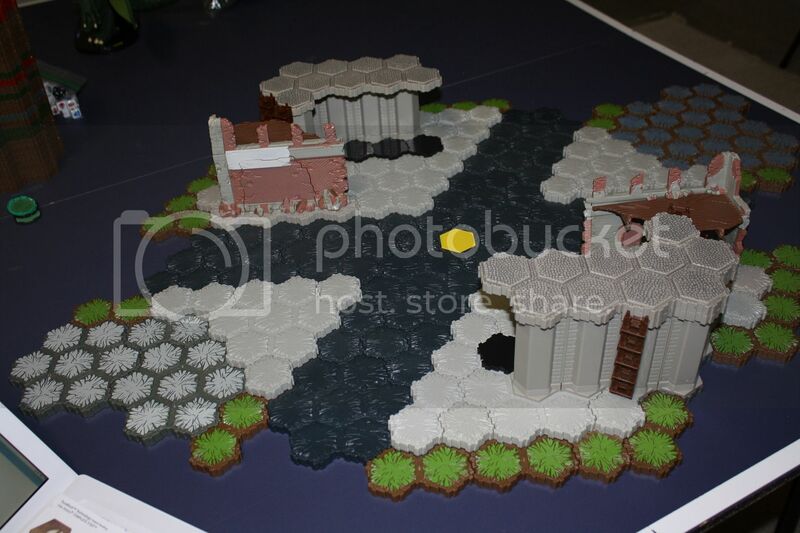 We at C3G have released several optional rules that you can use when playing SuperheroScape. Knockback is a ton of fun and keeps your battles from becoming stale with engagements. Molten Lava is a problem when you have 300+ point figures in your army, so we released some rules to make lava less of an issue for Super Heroes. In our latest Master Set, we added rules for throwing Destructible Object around and using them as weapons. I find these rules to be simple and fun to use, once you start using them, you won't want to go back. 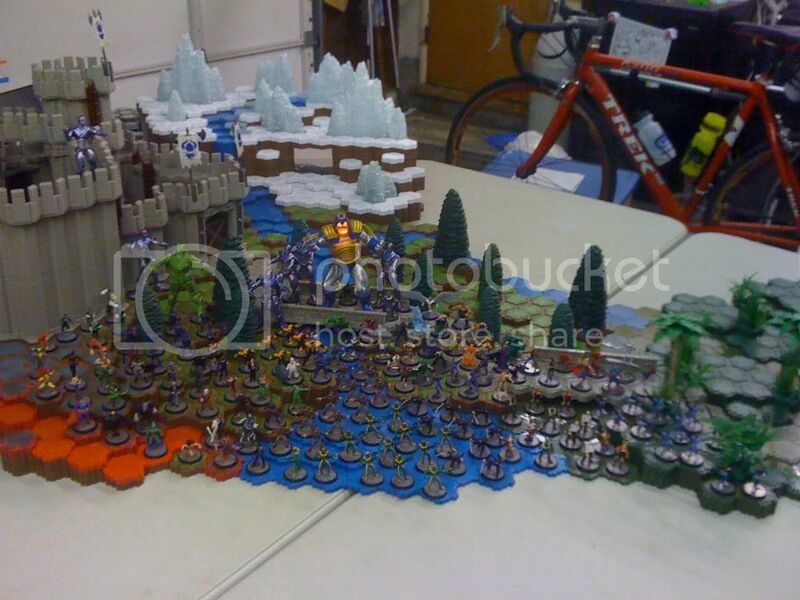 C3G endorces the use of these markers, but if you have a sizable collection of regular HeroScape markers, then by all means use those markers. I've found the glow in the dark markers work great for Green Lanterns! What kind of group would we be if we didn't have good scenarios? We have released campains with both of our Master Sets and you can find those in the Books of Index. Also, we occasionally release "One Shot Scenarios" (scenarios that are just one game). If you enjoy scenarios (and even if you don't), i highly recommend playing these. The Fantastic Forces Unite campaign is my favorite right now! 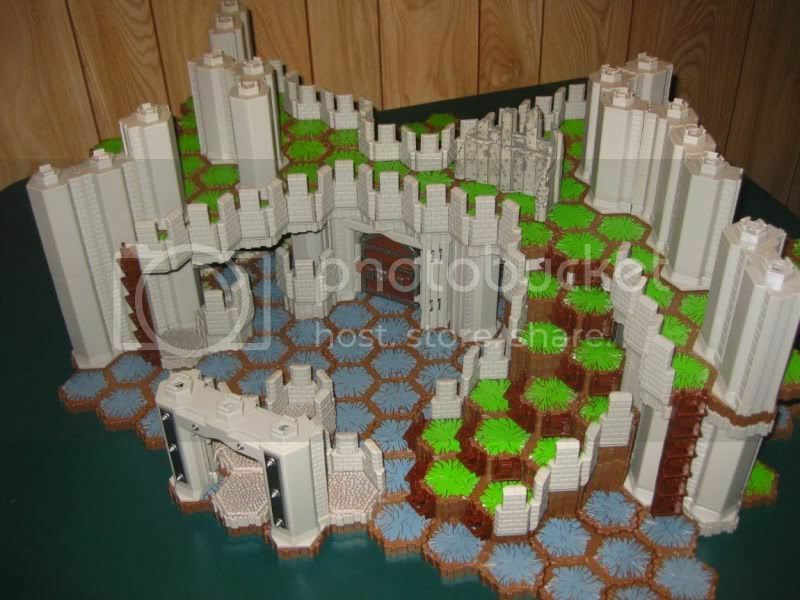 If you are familiar with Valhalla HeroScape, then you have probably used the wonderful Battleplan site. Unfortunately we don't have something that amazing for C3G units, but one of our own Heroes, SirGalahad, has put together an amazing spreadsheet that is sortable. It also contains power text for every C3G power released and ever DO and Glyph. Highly recommended download for quick reference when building armies. If you've played any games with C3G units you will find their powers can sometimes have a high learning curve and may lead to questions if not read correctly. Well fortunately our very own Hiducul has compiled all the FAQs and Erratas and put them in one thread for ease of access. If you have a question that hasn't been answered, head to that units Book and ask. Don't feel bad, we've all messed up and gotten confused at one point or another. Ever wonder if you are getting the most out of your favorite unit? Well head on over to CharosInCharge's C3G Strategy thread and see what he says about you favorite unit. If you don't see your favorite unit listed, just ask and Charos will probably write something up for you. I recommend: davidlhsl's Guide to Superhero Customs. Last edited by Griffin; June 26th, 2011 at 11:03 PM. This is an amazing tool Tickle. You might want to add Grishnak's rebasein tutorial also for those who have very litte OCD and don't mind doing it the cheep way. Thanks. It's a work in progress for a reason. Rep cannon empty. Sorry tickle. You've got to have DW put a link to this in every home page post. Hell, I'm going to add it to my signature right now! When you click on the "Combined Card PDF" it takes you to a rep screen. FYI. Maybe he is trying to give you a not so subtle hint. That would be for Lefton4ya. Copied the wrong link. Fixed. Also I am open to thread name suggestions.